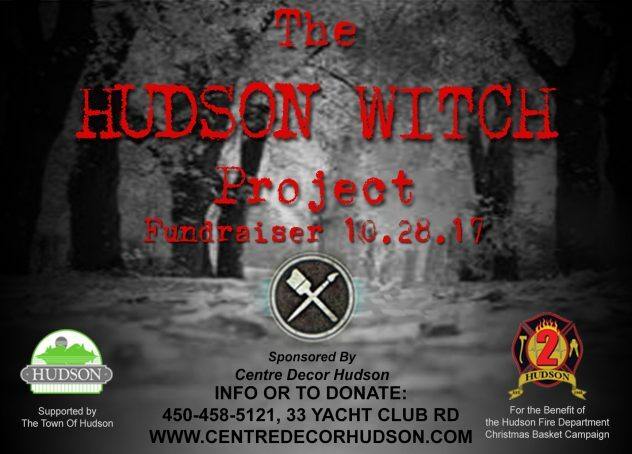 A Centre Decor Hudson initiative, our owner Lea had a vision: originally a crazy night of shenanigans, it quickly developed into a fundraising attempt, supported by the Town of Hudson and for the sole benefit of the Hudson Fire Department Christmas Basket drive. For a minimum donation of $5, we’re asking you to participate in our witchy walk down main road Hudson on Saturday October 28th !! Dressed in your best witch, wizard or warlock costume we’ll be serenaded down the main to raise funds for this worthy cause!! Donations are being accepted at Centre Decor Hudson, 33 Yacht Club rd, Hudson, Qc. Even if you can not make the event itself, we’re asking for your support.